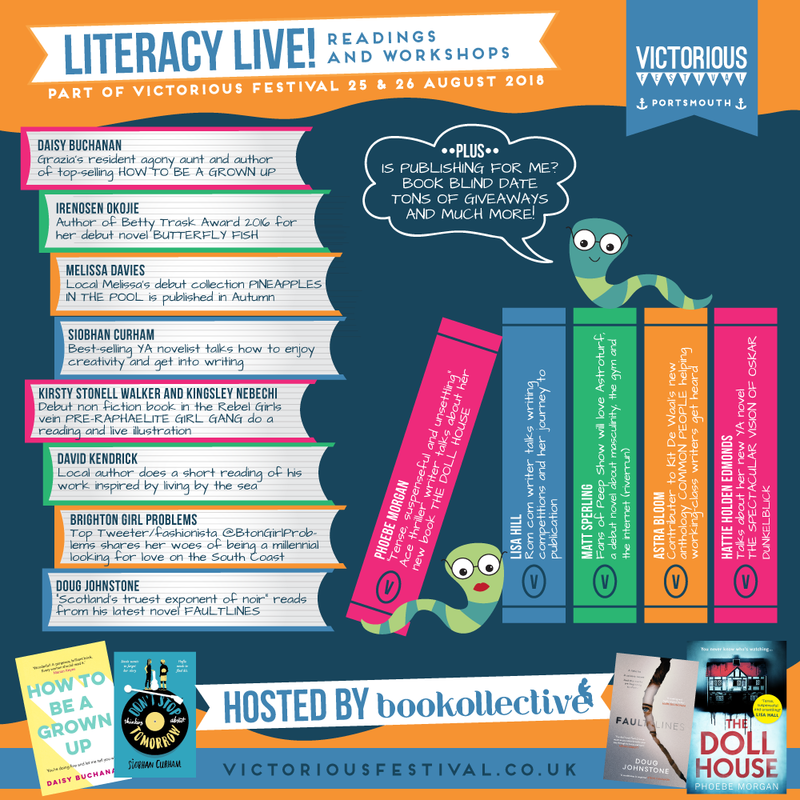 We’re excited to announce Literacy Live for Victorious 2018! A brand new addition to the festival’s arts and culture programme and brought to you by the wonderful team at Bookollective. A line up of fantastic authors awaits with talks from Grazia’s resident agony aunt and author of top-selling ‘How to be a Grown Up’ Daisy Buchanan, advice on getting into writing from bestselling YA novelist, Siobham Curham to witty anecdotes from top tweeter and fashionista @BtonGirlProblems plus a lot more! There will also be information on Is Publishing For Me?, Book Blind Date, giveaways and more! So if you’re a budding author, a book lover, trying to inspire young minds or just seeking out something different then head over to Literacy Live on the Saturday and Sunday of Victorious 2018.